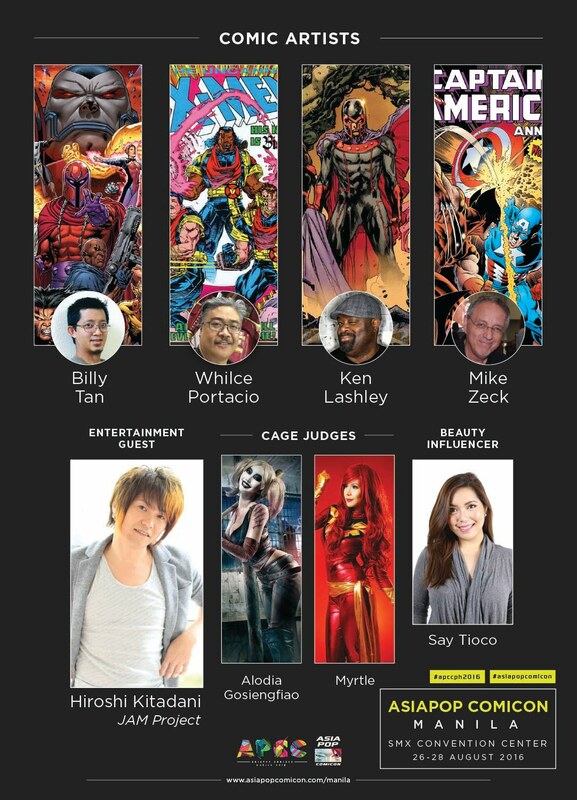 AsiaPop Comicon Manila 2016 has added some comic book pros to its guest list for the country’s biggest pop culture event this coming August 26-28 at the SMX Convention Center in Pasay City. Comic book artists Mike Zeck, Ken Lashley, and Billy Tan have been announced to be among the attendees for the event that is now on its second year in Manila. Two months ago, British actress Hayley Atwell who came into the public consciousness for her role as Agent Peggy Carter in the Captain America films and the Agent Carter television series was announced as the first big name to grace the upcoming convention. Zeck is an American artist who made his name in the 1980s working on Marvel Comics’ first big crossover event, Secret Wars. He followed that up two of works that has since become classics and defining stories for the Punisher and Spider-Man villain Kraven the Hunter, in Circe of Blood and Kraven’s Last Hunt respectively. Circle of Blood was a five-issue limited series written by Steven Grant and pencilled by Zeck featuring the Punisher. That series cemented the character’s place in Marvel’s pantheon of characters moving him away from cameo appearances in Spider-Man’s titles. Kraven’s Last Hunt was controversial for the suicide of the Spider-Man foe who after defeating the costumed hero believed to have regained his honor and saw no more purpose in his life. Zeck went on to a fruitful career well well into the late 1990s but since has been involved in the production side of comics. Lashley is a Canadian artist who made his name illustrating many of Marvel and DC’s top-selling comics. Lashley has drawn Exaclibur, Spider-Man, JLA, Superman, and many others. His more renowned run is working on Black Panther that has enjoyed a surge in popularity following the superhero’s cinematic debut in the recent Captain America: Civil War. Lashley worked on Black Panther: The Deadliest of the Species with writer Reginald Hudlin where T’Challa, the person behind the mask gives up the mantle to his sister Shuri after sustaining life threatening injuries. This series was a game changer for the character in which many of the events that happened in the that story have a great effect on the current acclaimed run by writer Ta-Nehisi Coates and artist Brian Stelfreeze. Lashley currently does toy designs and is the artist on Marvel’s Uncanny X-Men. Billy Tan is a Malaysian-American artist who made a name for himself working out Marc Silvestri’s Top Cow Studios in the 1990s working on titles like Tomb Raider, Witchblade, and Spirit of the Tao. He also drew for Marvel and DC before relocating to China where he founded Tan Comics, a company that focuses on Asian superheroes. Aside from the three international stars, Filipino-American artist Whilce Portacio will be back for the second straight year in AsiaPop. According to event organizers, they also have a few more big comic names to announce in the next week.